LEED buildings are efficient and environmentally sound. Read our blog post to learn how your flooring choice can help you qualify for LEED credits. LEED (Leadership in Energy and Environmental Design) is one of the most popular green building certification programs worldwide. LEED uses a set of ratings developed by the U.S. Green Building Council for design, construction, operation, and maintenance of buildings. This rating system is based on calculations that determine how efficiently trades and products have been used in a building project. According to the U.S. Green Building Council, “LEED-certified buildings are resource efficient. They use less water and energy and reduce greenhouse gas emissions. As an added bonus, they save money.” So, how can a flooring choice contribute to the LEED certification of your building project? 1) If the flooring product being installed meets VOC (Volatile Organic Compounds) requirements for floor coatings, a “Low Emitting Materials” credit can be attained. This includes having California Department of Public Health v1.2 Certification for long-term emissions. Stonhard has a vast catalog of products already certified, and is continuing efforts to expand that list. 2) Flooring systems that contain recycled material (such as glass) can qualify for a “Recycled Content” credit. 3) Flooring systems manufactured using rapidly renewable, bio-based materials can qualify for a “Bio-Based Materials” credit. 4) While no longer a LEED-specific category, if a flooring product minimizes waste (by using recyclable packaging for example), it can qualify for a “Construction Waste Management” credit. Stonhard is a member of the US Green Building Council and is committed to developing sustainable resinous flooring and wall system solutions. More than 90% of new product development and reformulation efforts are geared to water-based urethanes or 100% solid epoxy-based chemistry. This effort not only provides safer flor and coating products to both industrial and commercial markets, it also reduces hazardous waste. Most Stonhard products have low VOCs. Stonhard has flooring systems that use recycled glass in the troweled mortar system and a number of Stonhard’s cementitious, urethane mortars also contain what is known as rapidly renewable materials, which are components which can be harvested in cycles under 10 years.  Click here to learn more about Stonhard’s sustainable solutions on the Stonhard website.